Early Bloomer. 1 to 3 red-purple sweet pea-like flowers cluster near base of stalk. Sprawling vine, invasive alien, cattle fodder, cover crop. Notes: Pea family. Vetch is an alien, brought in for cattle forage. It can become very invasive, smothering plants in its path. 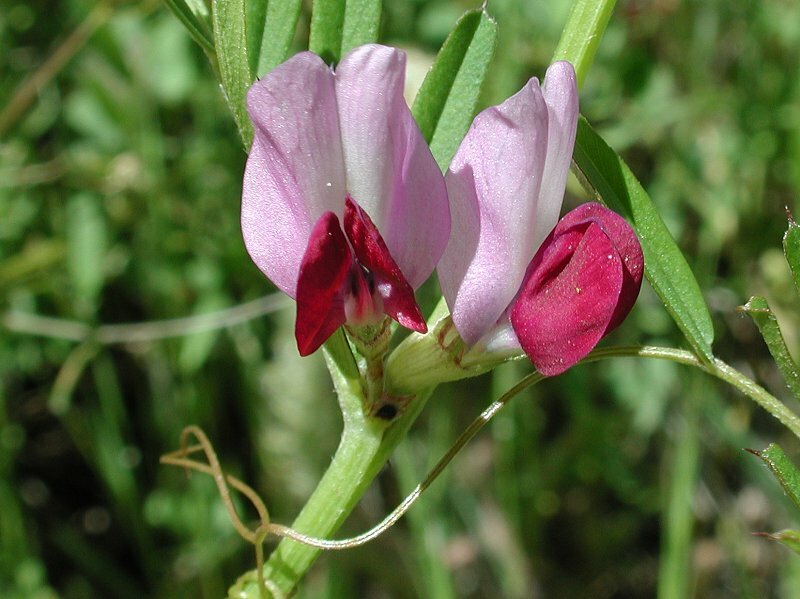 The names Spring Vetch and Winter Vetch are misleading, as both grow about the same time on our trail. 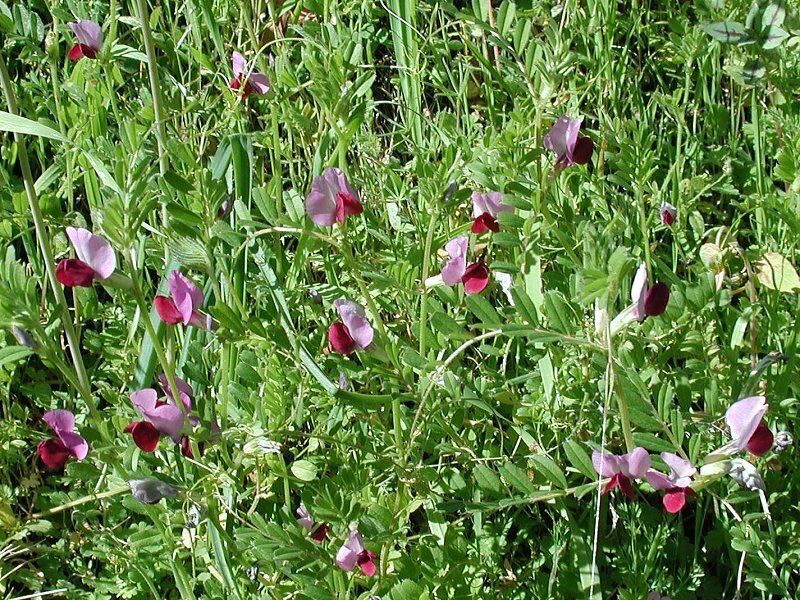 The Spring species is easily discerned as it is pinkish-purple and looks much like a ‘sweet-pea,’ while the Winter Vetch is a deep purple color and hangs from stems in long clusters of much smaller blossoms.